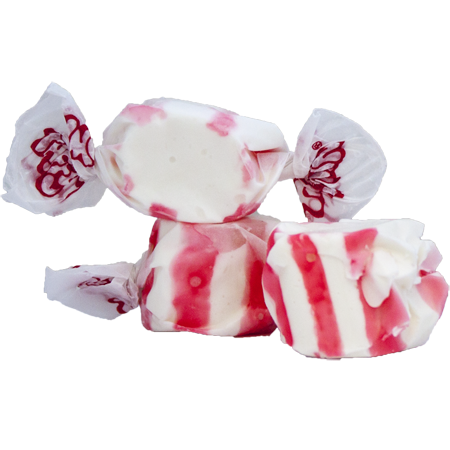 Get into the holiday spirit with this delicious Peppermint flavored taffy with a festive Candy Cane design. Hand designed by our expert candy makers, this holiday favorite flavor will make a great addition to any of your festivities. Each taffy piece is twisted in a Cello wrapper and has the trademark red Taffy Town lettering to help our ever-growing fan base identify our product wherever it may be sold. It’s a colorful product with individual wrapping to make it easy to use in candy buffets, holiday treats, summer snacks, party goody bags and more. It is a fun medium to use for creative decoration projects and crafts for both children and adults. 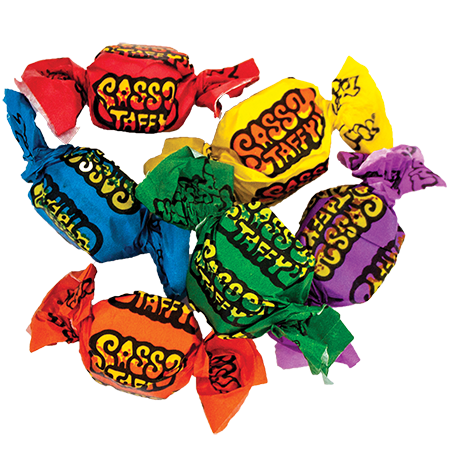 Order yours today and get this tasty candy fresh from the factory!